This is a film that can’t have escaped your attention owing to the fact that it also made international news headlines thanks to its touchy content: torture and the killing of Osama Bin Laden. Yes, this is that film. Behind the camera we have Kathryn Bigalow – the Academy Award winning director that brought you The Hurt Locker – another current affairs / war based epic. I still think Point Break‘s her best outing to date, but who doesn’t love a bit of surfer Keanu Reeves dude? Bodacious. Gnarly. Rad. But back on track and onto the plot (if you hadn’t guessed it already). Zero Dark Thirty follows the posting of CIA agent Maya (Jessica Chastain) to the Middle East as she attempts to track down the leading Al-Qaeda generals that were on the loose following the events of September 11th 2001. And who’s the big target? Osama Bin Laden, of course. I can’t spoil the plot as every man and his dog knows the outcome of this particular hunt for America’s previous “Most Wanted”, but not many people appreciate how much intelligence work went into the man hunt. The film swears its telling the true accounts of people that were there over the decade-long hunt for Bin Laden – the US government disagrees with this statement somewhat, so I guess it’s up to you to make up your own minds. 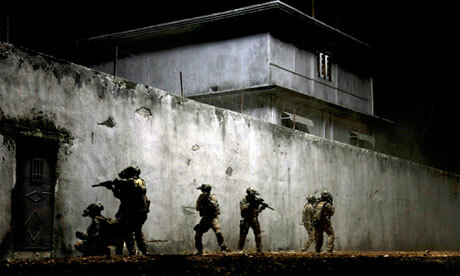 Zero Dark Thirty is a very dry movie – it’s heavy on emotion, heavy on drama and heavy on suspense, despite the fact that you know the outcome from the outset. The torture scenes are indeed barbaric and retreading all of the terrorist events, from the attack on New York in 2001 to the July 7th bombings in London and everything in between and since, has been covered. For some it’ll re-open wounds that are best left to heal. Some may argue that this film is “too soon”, just as The Hurt Locker was “too soon” after the US-Iraq War. I’ve got to hand it to Kathryn Bigalow; she’s a gutsy woman to tackle all of this. But what concerns me is that she’s followed up a “true to life” war drama with… a “true to life” war drama. I really worry about her becoming set in a rut here if she continues this. If 2014 brings Point Break 2: Bodacious Waves then maybe she won’t succumb to being tarred with that brush. Aside from the content of the film, much has also been made of Jessica Chastain‘s performance here. I’m very relieved to say that she is utterly compelling as Maya. You see her development from a somewhat shocked rookie through to hardened and determined agent. She runs every emotion over the film’s lengthy 157 minute runtime and really sells you every single one. I’m convinced she’s a shoe-in for an Award in the upcoming season. Sure, I really liked Jennifer Lawrence in Silver Linings Playbook, but it can’t compare to this, can it? A lot of credit has to go to the entire supporting cast too, especially Jason Clarke‘s Dan, but this is really Chastain‘s vehicle, with many other characters simply being “there”. Whilst I admired how gritty and real Bigalow has kept Zero Dark Thirty (I don’t think I’ve ever heard a machine gun sound so offensively realistic in a cinema. Absolutely sublime editing and effects), it still had its problems for me. I just found myself getting distracted as the film progressed. Some of the sections just felt very long-winded and drawn out, as I waited for the pace to once again pick up and become engaging. Sure, Chastain held every scene admirably, but I wanted more. Don’t get me wrong, I wasn’t expecting a war movie here. This isn’t meant to be Full Metal Jacket and I get that, but I still wanted something else. Overall, I’m in agreement that Zero Dark Thirty deserves the praise that’s being lauded on it: it’s visceral, suspenseful and supremely acted out by Jessica Chastain. But it just failed to hit those really high notes for me. I definitely can’t brand it a classic, as I can’t see myself wanting to re-watch it again, which for me is the hallmark of a truly fantastic movie. But it is another solid film for Kathryn Bigalow. I just hope that she diversifies her subject matter in future endeavours. 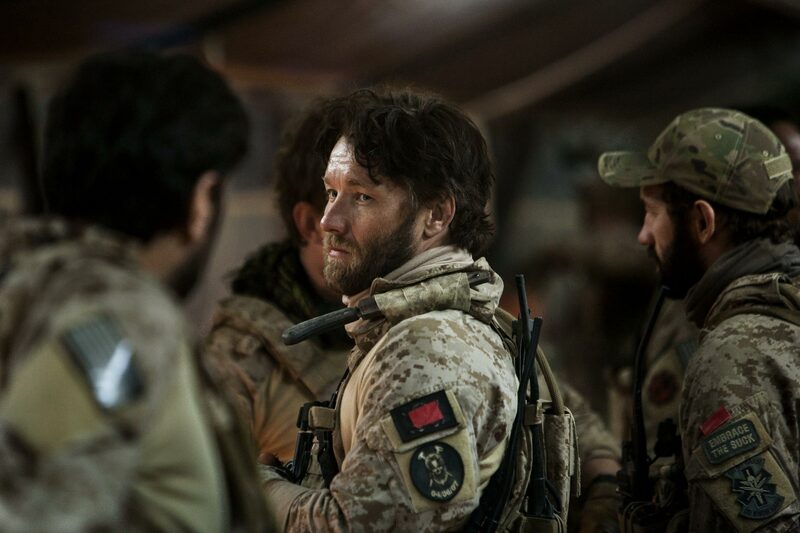 So despite the hype, I fail to see why Zero Dark Thirty should stand head and shoulders above the other nominations that I’ve seen so far. Although we remain highly impartial until we’ve seen the film ourselves, we can’t help but feel a little let down that it isn’t the stone-cold classic we were anticipating. Having said that, if someone wants to start hyping up Point Break 2 then I’m totally on board that hype train. Full steam ahead dude! !